Located in the heart of downtown Cary, Spectrum Screen Printing provides "In-House" Custom Apparel Screen Printing, Embroidery, Digital Direct to Garment Printing, and a Full-Service Art Department that can take your concept and make it a reality. 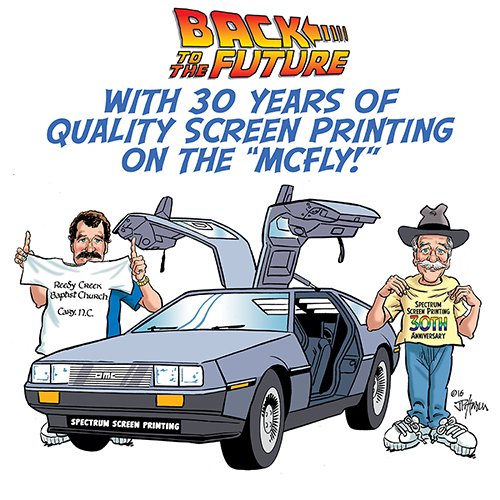 With such a wide variety of services, Spectrum Screen Printing can assist you in making your Company, Organization, Team, or Event uniquely identified with quality custom garments. Established in 1987 by business owner Harry Gould, Spectrum has become one of the area's premier vendors of decorated apparel, promotional items, and team sports embellishing. Our professional and qualified staff are here to assist you with all your printing needs. A phrase that is often repeated here at Spectrum is "If it weren't for repeat business, we could not Survive." We would like to thank all those who have become part of the Spectrum Family. 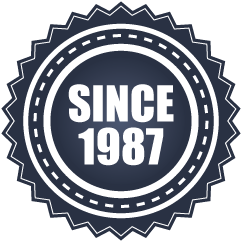 With support from our local community, we have been able to serve Cary and surrounding areas for the last 30 years. We have been able to increase our product offerings and bring new printing techniques and technologies into our community. For this, we would like to say, “Thank You".